There are certain situations that may require a pet to be hospitalized. We know this can be a stressful time for you and your pet, so we want you to rest assured that your loved one is in good hands. 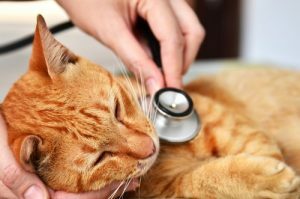 The duration of hospitalization can vary depending on the condition of the pet, as well as the nature of their illness. Every patient is given loving attention by our compassionate, knowledgeable staff in the hopes of getting them healthy and back with you as soon as possible. If you have any questions, comments, or concerns about hospitalization, please call us today at (904) 757-4610.